53-year-old Caso has a vast experience in racing, especially GT racing, having finished second in the European Ferrari Challenge and third in the Ferrari Challenge World Finals in 2014. As a team manager, he fielded single seaters in Formula Abarth and Italian Formula 3, and a Ferrari in the Italian GT Championship. 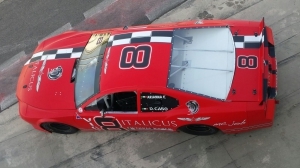 Arianna Casoli will make her debut in the NASCAR Whelen Euro Series in the ELITE 2 Division, competing for the Lady Cup. 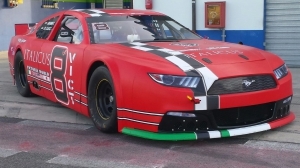 The Valencia NASCAR Fest will open the NASCAR Whelen Euro Series 2016 season on April 23-24 with four exciting races on the 4,005-km track Spanish track. The races will be streamed live on Fanschoice.tv and the NWES TV magazine will be broadcasted in more than 180 countries.